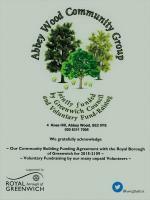 The Abbey Wood Community Group now has over 30 groups using the premises. The centre is open seven days a week, and an average of over 850 people come into the centre during any given week. Users range in age from under 5s to over 90s, and come from a large diversity of ethnic backgrounds.